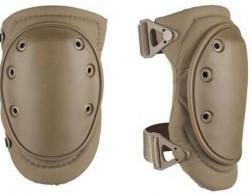 SWAT Knee Pad  - $33.25 : Advantage Supplies, Inc.
Alta Superflex Knee Pads reduce stress and fatigue to the knees, allowing you to work longer and more effectively. Alta pads are lightweight, but have a full 1/2-inch layer of foam padding. The rubber caps grip the surface to prevent sliding. Unique buckle fastening system is easy to use and allows a comfortable fit that minimizes interference with circulation to the lower legs.